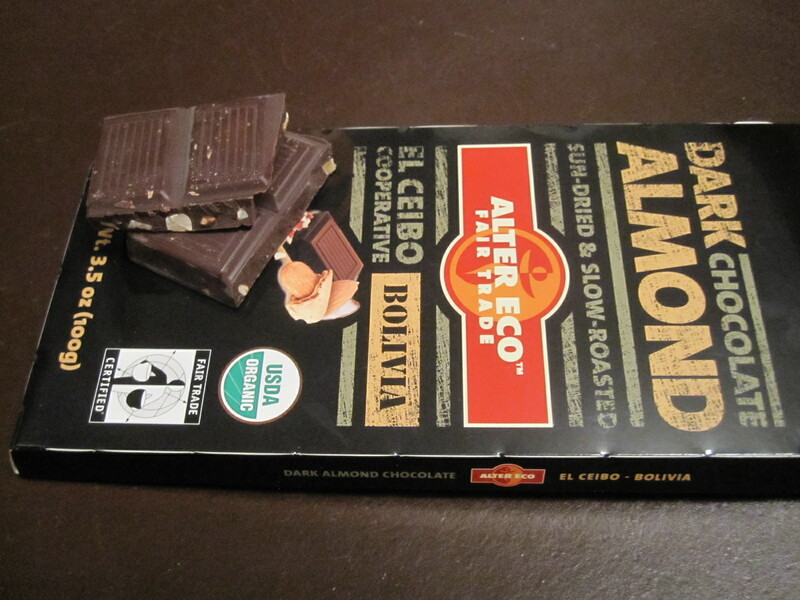 Accidentally Vegan: Alter Eco Fair Trade Organic Dark Chocolate Almond Bar! This week’s Accidentally Vegan feature is Alter Eco Fair Trade Organic Dark Chocolate Almond Bar!!! Alter Eco’s single source vegan chocolate bar is OMG good. Just one taste and I was in love… But aside from the satisfying creaminess and crunch, this chocolate bar also helps to accomplish good things in the world. My purchase of this vegan chocolate actually helps to benefit 800 families in the Bolivian part of the Amazon!